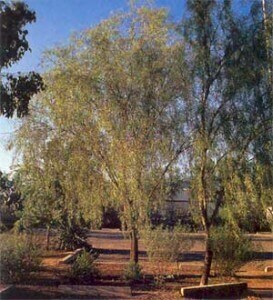 Green Feathery cassia is an evergreen shrub that grows four to six feet tall and wide. The shape is rounded and dense. 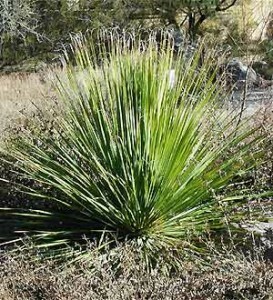 It has leaves that are narrowly pinnate, forming feathery sprays of silvery foliage. Its showy yellow flowers appear at branch tips from late winter through early summer. 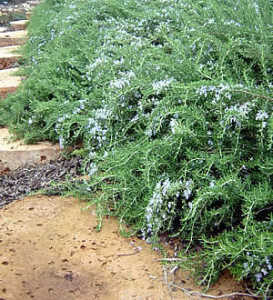 A very tough plant, this shrub will survive under desert conditions or near the coast. It will even tolerate clay soils if kept dry during the summer. Green Feathery cassia attracts bees. Also known asSenna artemisioides filifolia or Green Feathery Senna. 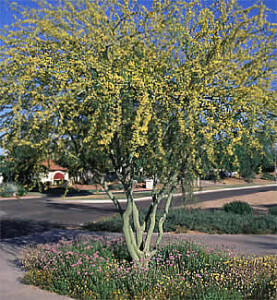 While extremely drought-tolerant, Green Feathery Cassia does best with minimal summer irrigation. Should be planted in full to reflected sunlight. The abundant production of beans produces litter. The complicated branching structure of green feathery cassia gives it a pleasant, natural form that does not require consistent pruning for shape. Selective pruning in late winter (while it is still dormant) will keep this hardy shrub in good shape.